How to Care Koi Fish : Pet Fish "AQUARIUM"
HomeAQUARIUMHow to Care Koi Fish : Pet Fish "AQUARIUM"
Koi fish are ornamental varieties of the common carp and are very popular. 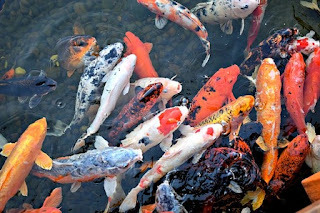 Because of their vivid colors although they're originally from the Orient koi. 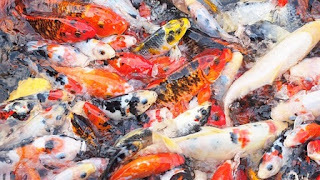 Koi fish can be kept successfully in outdoor ponds in many parts of the world. Including Europe and North America. Here's a short guide to keeping koi in a garden pond. There is a wide range of koi food on the market including floating pellets and sticks. As well as live food such as river shrimp and bloodworm. Some manufactured foods are designed for summer while others are for winter. When the Kois metabolism slows down and they digest less protein. 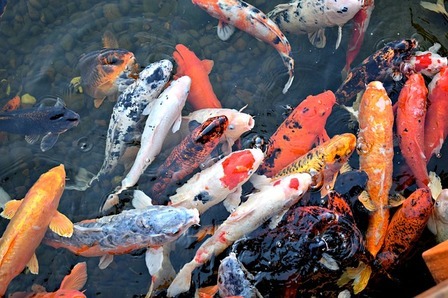 Try to give your koi a varied diet of different types of food and remember that. The more expensive foods are generally better quality and give the fish brighter colors. The correct amount to feed them each day is roughly as much as they can eat in five minutes. If those food left over after five minutes give them less next time in summer. They can be fed more than once a day. Your pond should have a filter and a UV sterilizer. The water should be pumped through the UV sterilizer which prevents. It from going green and then through the filtration system to clean it. The filters consist of layers of foam and plastic coils through which the water gets pumped. The pond will need to be cleaned regularly but it's important that you never wash it. In tap water as this kills the bacteria. That is vital to the fish's health instead scoop up some of your pond water in a bucket. Rinse the foam in that water and then discard the water. After you've cleaned the filter add more live bacteria to your pond. 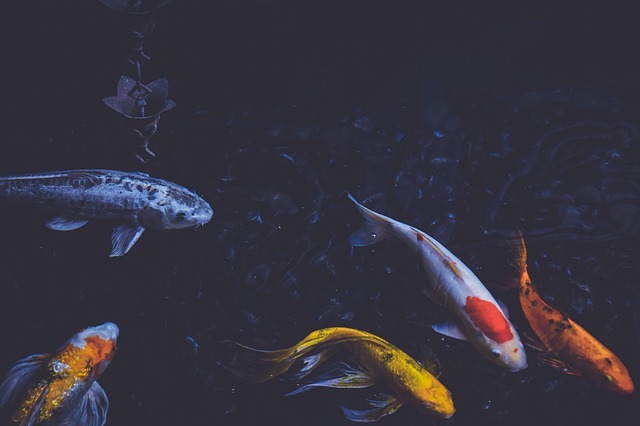 Many of the rules for maintaining water quality in a koi pond are the same as for an indoor fish tank. Test the chemical levels in the pond regularly. You can either do this yourself with a testing kit. Which will contain full instructions or take a water sample to your local aquarium shop? For testing when adding water to your pond for example. If water is evaporated always add dechlorinator to the water. Also, add live bacteria which can be bought in bottles to help maintain. The ecosystem of the pond it's not usually a good idea to replace more than 30% of the pond's water at one time. If your koi get attacked by birds of prey such as heron. It's a good idea to float a fake fish or heron scarer on the surface of your pond. 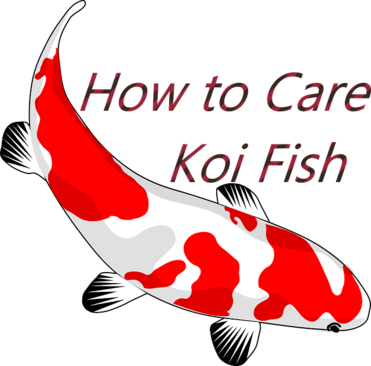 That's the basics of caring for koi fish for more detailed information there are many excellent books on the market done. The ideal pond size for keeping koi should hold at least 1,000-gallons of water. The very important thing when planning the size of your pond is the depth of water in it. 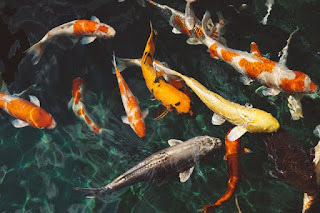 Koi should be kept in at least 3-foot deep water to help your koi find cooler water in the summer and warmer water when it is cold. 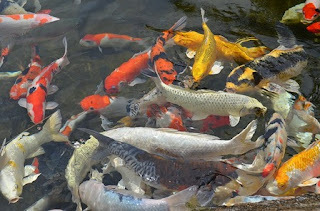 One thousand gallons of water should provide enough space for five koi fish if all water parameters are correct. Best Tropical Fish For Beginners. If You Interest In Photography.